Top 4 Sites in Singapore: Simply Can’t Miss it! Singapore offers more than just high-end shopping malls, luxury hotels and fine dining options; its visitors get a chance to be part of a true holiday in the lion city. Its landscape is dotted with many historic landmarks and ethnic sights that need to be seen to be believed. 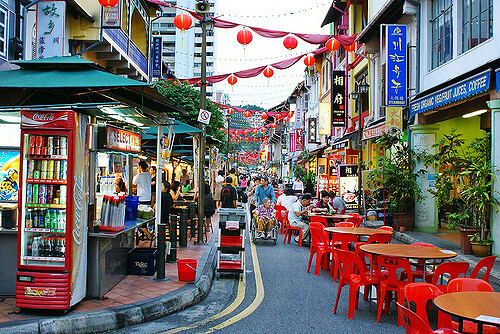 Your trip to Singapore can never be complete unless you pay a visit to these attractions. Marina Bay Sands: There is no sight as palatial as the Marina Bay Sands- a vantage point for taking in the whole city. It held the title of being the priciest building since it opened in 2010. An integrated resort, you can spend your entire day here since it houses everything—a luxury hotel, restaurants, shops, one of the largest convention centers in Asia, entertainment centers, indoor ice skating rink… you name it, you will spot it in Marina Bay Sands. Singapore Flyer: There is nothing better than taking a view of this majestic city from the world’s largest observation wheel. Well, with a glass of your favorite drink, of course. Choose the package you want and hop onto the flyer that even gives you a peek into the skylines of Indonesia and Malaysia. After all, one of the largest giant observation wheel! Botanic Gardens: Singapore is UNESCO World Heritage Center, the Botanic Gardens houses impressive National Orchids Garden, as well as an Eco-garden, Eco-lake, bonsai garden, natural attractions and several unique sites. When the city feels like a concrete jungle, escape to this nature friendly place. Chinatown: this place is filled with small stores and authentic Chinese cuisine under bright red lanterns, an excitement and hustle that will keep you captured for long. Make sure to visit the Chinese heritage Centre and see the Buddha Tooth Relic temple.